Who Are Famous Immigration Rights Activists? The immigration rights that people have the United States were not always this well constructed. They have been designed, and fought for over the last several decades. As with any movement, there are always going to be key players which can make things happen. There will always be leaders that people will follow, especially when it is dealing with something as important as the immigration rights of human beings. There have been several activists that have played key roles in the ability of people from outside of the United States to get in. 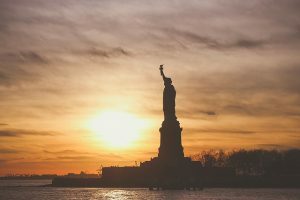 Although there are hard fighting immigration lawyers working to score key victories in cases that make immigration into the US possible for people in many different countries, changes do need to happen to make things better and these changes are happening right now. One of the most well-known civil rights pioneers was a man by the name of Cesar Estrada Chavez. He was born back in the 1920s, and died in 1993. He was an American labor leader that primarily fought for the rights of Mexican workers that were in the United States. However, he did play a large role in immigration for Mexicans coming into the US, fighting the restrictive immigration laws of the UFW. He was a key player in the 1986 federal immigration act which gave amnesty provisions. Other immigration leaders include Gloria Anzaldua, an author that was heavily focused on fighting segregation and problems with immigration. Jose Antonio Vargas is an activist and journalist who is heavily focused on reforming the immigration system. His role is very important today with so much focus on undocumented immigrants in the United States. He is hoping to pass a Senate bill that can help not only undocumented immigrants in the United States, but help those that want to come in do so without prejudice. Business owner and founder of AOL, Steve Case, is a very prominent advocate for immigration reform. He is looking at expanding visas for people that want to get an education in science, technology, math and engineering. For those that have already passed on, the work they have done has laid a foundation for immigrants that want to come into the US from all over the world. Those that are currently trying to change immigration laws, or modify them, are doing their part, even in the United States Senate. Hopefully these changes will continue, allowing people to become citizens of the US using a much better system for vetting people that truly want to come to the United States to improve their lives. Comments Off on Who Are Famous Immigration Rights Activists?